When you start applying these to larger societal and organizational structures, they produce unintended consequences. They tend to produce centralized decision-making and hierarchical governance, which at the family and extended family level are effective, while on these larger levels they are not. 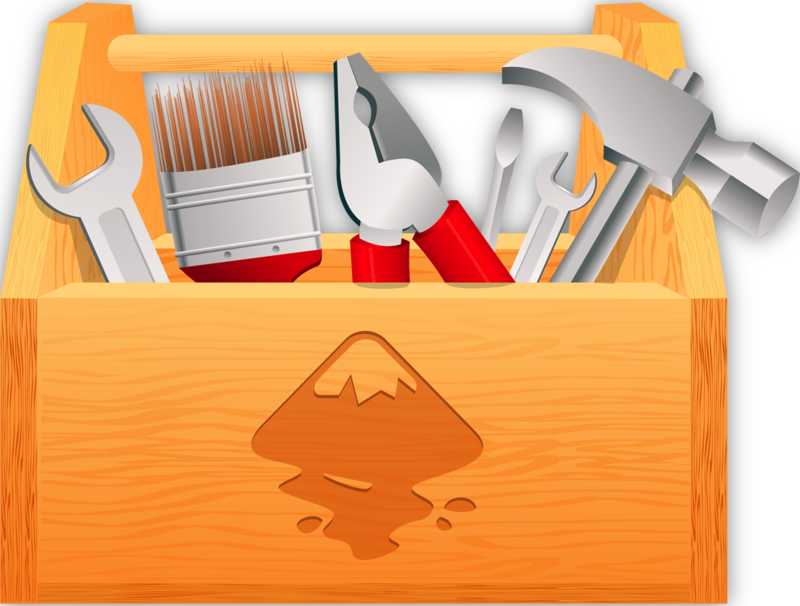 We also need tools from the West and other thought leaders such as John Maxwell. In one of his seminal books, Developing Leaders Around You, he outlines why developing new leaders is the most important job of any leader and how to go about that. In it, Maxwell outlines the criteria to look for in a leader and how to foster a climate conducive to developing new leaders. The larger UM has often used its “leadership” development process as a mode of personal development, or learn by doing, and promoting those that unite with the direction, even if the intended results are not achieved. Evident gifts and strengths and self-discipline are valued, while the others are not. At Shehaqua, we were dependent on volunteers to man and lead all our programs. Our programs were very similar each year, but who participated changed. I likened it to having a set musical score, but different people playing the various instruments. Recruiting leaders with confidence, effective communication skills and people who could think on their feet as changes and problems arose was essential. Reading Maxwell helped. Creating opportunities for personal development and focus on getting things done have rarely been seen as a priority. At Shehaqua we tried to provide mentors and clear job descriptions for every role. This helped create a climate more conducive to people taking on larger roles over time or just changing them as their ambition or live circumstances changed. We tried to honor these requests and changes. This also helped in succession of leadership, as roles were more clearly defined. But even when you are developing new leaders, you also need processes or ways that the organization itself learns, conveys its culture and goals that allow the core mission to succeed beyond one generation of leaders. 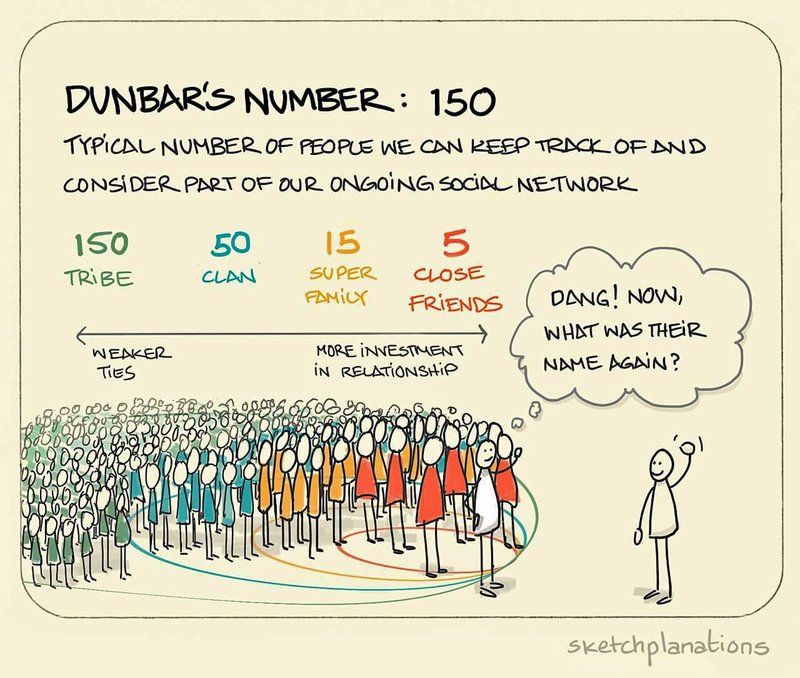 If you are dealing with more than 150 people (see Dunbar’s number), you need organizational tools. The DC-3 needed all the components to fly and to create commercially viable “flight” for the masses. Discovering the Divine Principle and its applications is similar to the Wright brothers discovering flight. To build upon the Confucian foundation and that of Father and Mother Moon and others, we need new tools from thought leaders such as Maxwell, Senge, and management expert Peter Drucker (e.g., his SMART goals). The Divine Principle, from the point of view of religious thought, is a conceptual framework. Viewing history as a process of restoring the position of men and women to their original state is a systems viewpoint. At Shehaqua, the systems thinking I read from Senge allowed me to see all the factors that went into our program and how they interacted with each other. The facilities, the people, our finances, marketing, and the specific personalities involved in each program could all be seen as a kind of quilt, woven together. What Senge adds is a methodology for thinking about any organization, a culture, and a nation, that is not religion-based but is a tool that allows one to analyze and improve these. We keep thinking that if only we had better, more effective techniques, followed up after sponsored events and better marketing, our results would change. Certainly those are valid, but as important as they are, the insight Senge brings to the organizational development viewpoint is helping people within to see how their framework fits together. The DC-3 is a good example of this. The revolution of flight, demonstrated by the Wright brothers, did not bring about the application of use. In the same way, the discovery and initial application of the Divine Principle has not brought about the intended change in modern culture. Without creating a “learning organization” and using more effective tools, I do not think it will. Mental models can limit or expand our vision and ways of acting. Understanding how our mental models do this is what Senge adds. For instance, trying to apply the insightful story of the Cain/Abel paradigm and subject/object relationship to everything from personal relationships to family dynamics to national policies and world history often inhibits our decision-making and leads to unforeseen problems. Cain as a representative person and position had certain expectations as did Abel. These lessons are valid. When you start applying them to “Abel and Cain nations” the lessons are lost. Can a nation be humble or arrogant? If they can, how do you know when they have changed? Hoon dok hae and Pledge are simple methods of personal mastery, but it also applies to anything we do or seek to be masters of. Confucian thought emphasizes group good over individual development. Weaving personal mastery and development into larger, shared goals is never easy and in the UM culture the loss of personal development has meant that for many their growth either just stopped, was only connected to the success of the organization, or they found other outlets. Father Moon was a master of building a shared vision, but in an attempt to extend this beyond his own lifetime and to future generations, the vision sometimes comes across as “dictated.” It should be noted that Father Moon’s goals were often historical (vertical) in nature and broad in terms of building ideal families through the Blessing. Rev. Moon planted flags of thought relevant to every human endeavor and to nations and cultures throughout the world. The ICUS and PWPA conferences as well as Ocean Church and sending missionaries to virtually every country are good examples of his “flags.” The tools to build those flags into successful enterprises were mostly left to others. His consistent call for people to live for the sake of others brings a shared vision to his followers as well as with people of all faiths. Many organizations, including those within the Unification Movement, suffer from the inability to create a process and atmosphere of learning and improvement that includes everyone. Groupthink and blind adherence to religious dogma inhibit team learning. Smart and well-meaning people end up making very poor decisions. A fundamental requirement of team or organizational learning is to be able to assess what has worked and what has not. One of the lessons from Senge was creating an environment and process where our programs and the assumptions that went into them could be evaluated, without blame. This allowed our organization to learn and foster the type of environment that people willingly invest in. Theology can be a means of compliance, but it can also help people deepen their relationship with God, as their organization understands it. It can and does help the individual to see beyond his or her own horizons and allows them to access accumulated wisdom. What systems thinking does that theology does not is it allows the individual to assess their own relationship with the group and their place and role within it. To aid families and individuals in building healthy relationships centered upon God, many resources and thought leaders have been tapped. Real Love in Marriage by Dr. Greg Bear is a good example of this. “We try to control people — including our spouses — only because we are empty and afraid; we believe that as we control others we will feel safer and less helpless.” The Divine Principle and teachings of Father Moon emphasize the centrality of marriage, but provide little guidance as to how to achieve this, nor what to do when couples run into trouble. The Blessed Family Ministry department of the FFWPU utilizes a variety of “thought tools” such as those of Greg Bear to enhance the effectiveness of their ministries. These tools do not change the fundamental goals, nor its guiding theology. Rob Sayre met the Unification movement in 1973, was blessed in the 1982 Madison Square Garden Blessing of 2,075 couples, and has three children and five grandchildren. 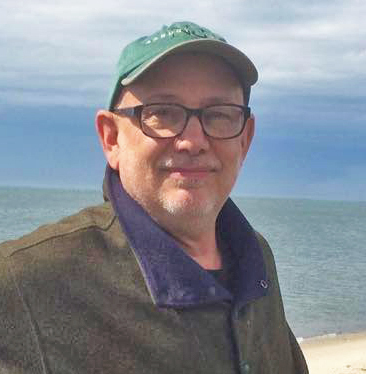 He helped start Paragon House Publishers as its first CFO and then worked at Rodale Press, publishers of Men’s Health and Prevention magazines, as business manager for its $260 million book publishing division. He and his wife, Sally West Sayre (UTS Class of 1981), are one of the founding couples of the Shehaqua Ministries in Pennsylvania, an independent ministry still thriving after 24 years. Thanks for this. I do believe systems thinking is the key for improving our organizational structure. However, I don’t think it is systems thinking or theology, rather systems thinking as theology. Systems are a direct consequence of a relational existence such as described in “The Principle of Creation” in Divine Principle. So systems thinking is directly connected to the ontology at the foundation of our theology. One significant aspect of systems is that they are emergent and develop from the bottom up. We see this everywhere in nature. Emergence then should also be present in an ideal social organization too, which would have developed had there been no Fall. Such a society would develop from the bottom up. We do in fact see this described in the progression of the Second Blessing from family through tribe, society, nation, etc. 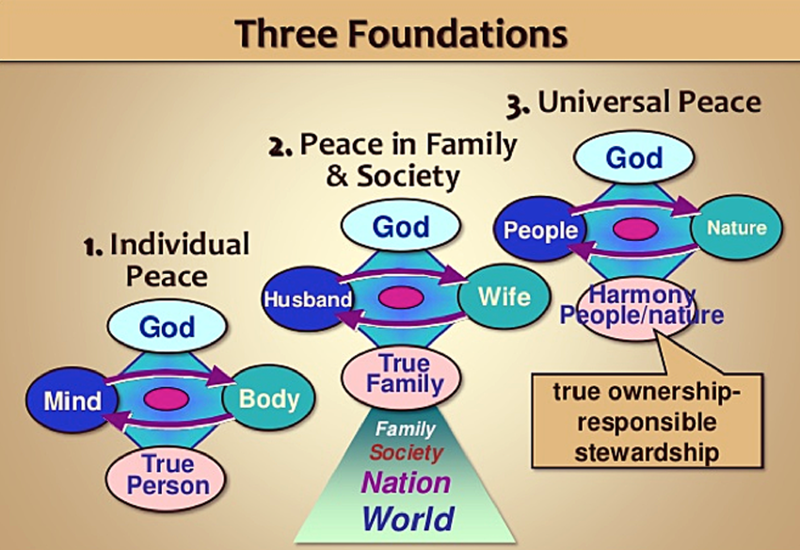 This also fits with Divine Principle’s description of the ideal as a socialistic system. However, the Fall changes this and we have had to add in restoration. The restorational model deals with Cain and Abel. The restorational model inevitably leads to a top-down structure that was necessary, but is antithetical to the bottom-up structure of systems. Since we are now past restoration, I would suggest that the Cain-Abel model no longer applies. Consequently, perhaps one of the greatest challenges facing Unificationism is how to transition from a top-down restorational model to a bottom-up structure adopting systems thinking as a consequence of our ontology. Yes, I agree it is not systems or theology. I guess I see systems thinking more as as tool. Also, one point I was trying to make, perhaps not done well, is the idea of the natural bottom-up progression from the individual to family, clan, etc., is limited by Dunbar’s Number. The number of people with whom you can really have an intimate relationship is around 150. After that, you need organizational tools. This would be true for fully-restored people as well as in the restoration mode or time period. Nice job with this piece, Rob. Thanks, Jack. The UM excels at some things and falls flat in others, in my opinion. Overall, all pursuits that grow need to adopt organizational tools and learn how to use them. The focus on building stable families is central and is always needed, and in this sense, the UM gets this. But, to grow and have influence beyond around 150 people, you need other tools. That is my main message.